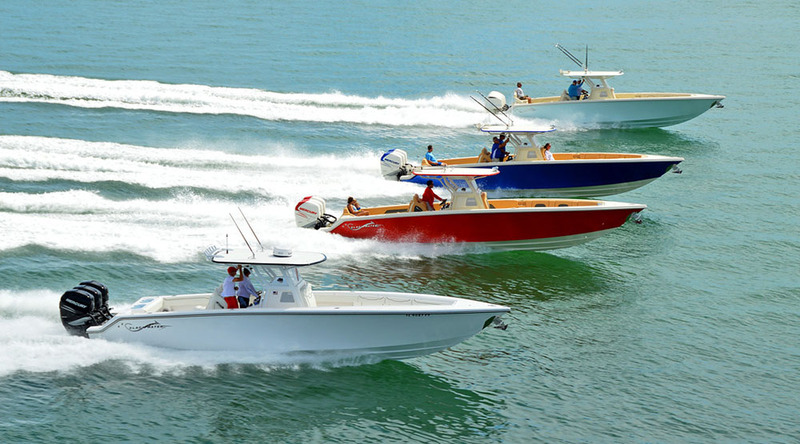 With companies continuing to put more emphasis on the customer relation side of the business, it turns out that there are four—that I know of—organized fun runs, lunch runs or whatever you want to call the boat-branded gatherings that happen during the Florida Powerboat Club’s Key West Poker Run set to take place in a couple of weeks. A few of those gatherings are occurring around the same time on Saturday, Nov. 10. Between Marine Technology Inc., Mystic Powerboats and the Boats Direct USA brands of Blackwater Boats and Deep Impact Custom Boats, there are three organized runs to a lunch location with helicopter photography opportunities to boot. Nor-Tech Hi-Performance Boats, on the other hand, is getting many of its owners together for a separate lunch stop during the poker run from Miami to Key West. However it is done, the organization of customers by the manufacturers is a great idea. It’s not a new idea by any means, but bringing together owners and expressing gratitude toward them in a special way is meaningful. MTI, for example, attempts to get its customers together as much as possible with special lunch runs at the Lake of the Ozarks Shootout in Missouri, the Lake Powell Challenge in Arizona and elsewhere. 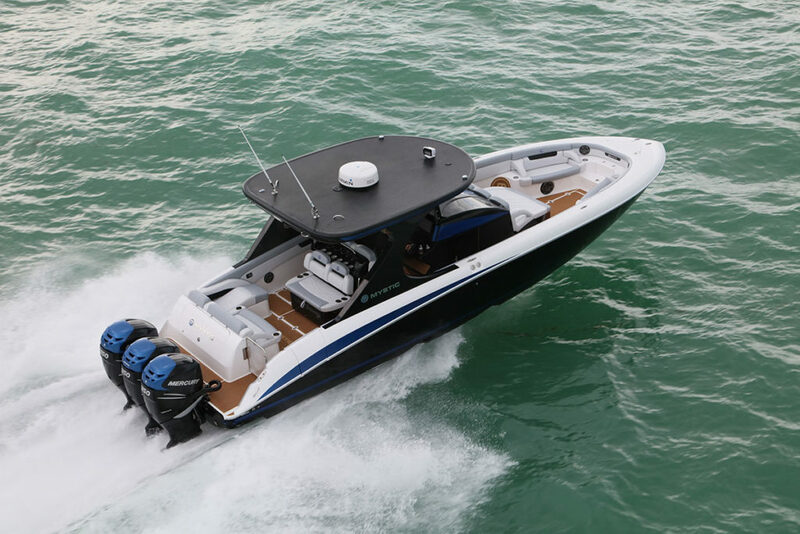 In fact, the high-performance catamaran and center console builder hosts an annual full-service Owners Fun Run in March in the Florida Keys, and I wouldn’t be surprised if we see more of those in 2019. Tim Gallagher, sales and marketing manager for MTI, said Saturday’s MTI run is going to start at 10 a.m., and include an aerial photo shoot for those in attendance. All MTI owners are welcome, he added, asking that anyone who wants to come let Taylor Scism know beforehand for headcount purposes. By no means are the gatherings scheduled in Key West this year meant to take away from the FPC happenings—each manufacturer hosting them is clear about that. In fact, the Saturday events were planned so participants also could enjoy the FPC raft-up before heading to the club’s one-of-a-kind awards dinner and party that evening. Greg Weber, Mystic’s director of sales and dealer development, said the company has an afternoon photo shoot and lunch gathering planned and is purposefully keeping it short and sweet because he knows how valuable everyone’s time is in Key West. He’s not sure if all 13 of the Mystics he knows are signed up for the poker run are going to join them on Saturday, but he’s certain that they’ll have more than half of them there, including two new M4200 center consoles that are being delivered to dealers that week. The powers-at-be behind the Blackwater-Deep Impact gathering feel the same way as Weber in that they don’t want to ask their customers to dedicate a majority of their day to an event. Dana McLean of Boats Direct said she was beyond excited about their lunch gathering and helicopter shoot on Saturday because getting all of the Deep Impact and Blackwater boats together is awesome for marketing purposes and a great opportunity for the owners to get to know each other better. Like everyone involved in the brand-specific runs, I have no doubt that each one is going to be fun—I’m just trying to figure out if there’s a way I can experience all of the above.